Proper Computer Room Air Conditioning Can Keep Data Center Equipment Running At Optimum Performance. Any time that computer system equipment is contained in a typical sized server room, the environment can fluctuate quickly. Computer room air conditioning is an essential part of data center designs. The equipment in a computer room is usually running all day long, every single day of the year, non-stop. This generates in immense amount of heat that can inhibit the functions of the computer equipment in the room as well as the network users. When the heat increases, many problems can occur such as slow performance and system breakdowns. However, these problems can be avoided by making sure that the data center has a proper computer room air conditioning system installed. Computer room air conditioning not only cools the temperature of the machines, it also lowers the humidity in the room. All electrical equipment needs the correct humidity level to operate effectively. If the level of humidity were to rise above 55%, then irreparable damage can occur. While this isn’t a factor everywhere, in areas where high humidity is likely, then humidity control is required so that malfunctions and breakdowns do not occur. Moisture can build up inside the equipment and will definitely destroy it. Replacing this equipment costs money and creates stress that data center operators do not need. There are many innovative ways to keep computer rooms air conditioned. Before electricity was available, building designers had to find ways to provide ventilation to the buildings they designed. One way this was done was by using eyebrow or clerestory monitors. An eyebrow monitor is described as a raised section of a pitched roof that contained windows that could be opened for increased airflow. A clerestory monitor is slightly similar except that it is a raised section of flat roof that had windows around the side that could be opened as well. When put into operation, the clerestory monitor provided huge amounts of natural light and an efficient way for outside air to flow through the building thus providing cooling. When utilizing this technique in a data center, cooler outside air comes in through ground level vents then it is vented vertically. The only step in this process that requires assistance is venting exhaust air away from the server cabinets . Once the hot air is away from the equipment, it will continue to rise until it is removed through the clerestory monitor. A vacuum is created by the air flow through the clerestory monitor and the exhaust fan operation which keeps the air flowing and cool. It’s very easy to see how this cooling technique is not only possible to do and is beneficial but is energy efficient as well. 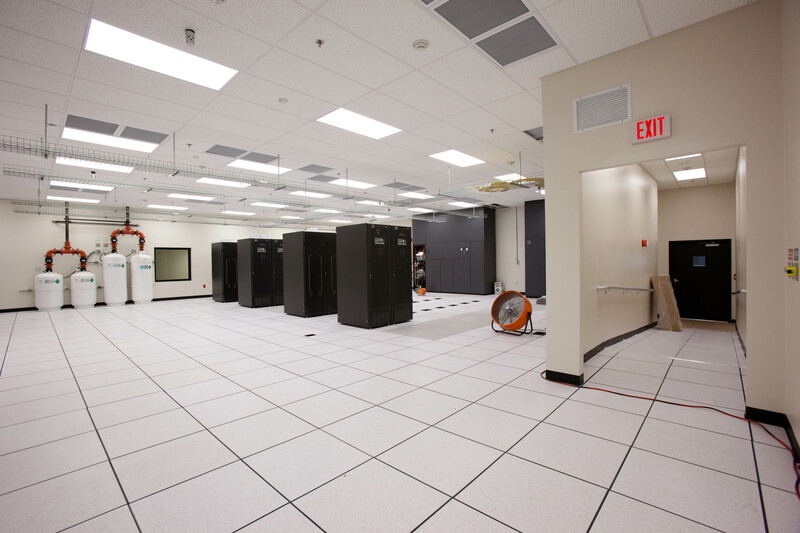 The only mechanical requirement is the use of exhaust fans to vent the hot air away from the server cabinets. It’s also extremely easy to accommodate outside temperature changes by simply closing or opening different windows. There are a few tips to making this type of cooling system work. It’s important to size the clerestory monitor to adequately fit the size of computer room being used. In addition, by orienting the monitor along the side towards the prevailing winds the optimum airflow is provided. Lastly, avoid utilizing this cooling type in areas or regions that have little or no natural airflow or in areas with long lasting high temperatures as it will not work and will cause damage to the equipment. This entry was posted in Computer Room Design, data center cooling and tagged computer room design, Cooling System, data center cooling. Bookmark the permalink.